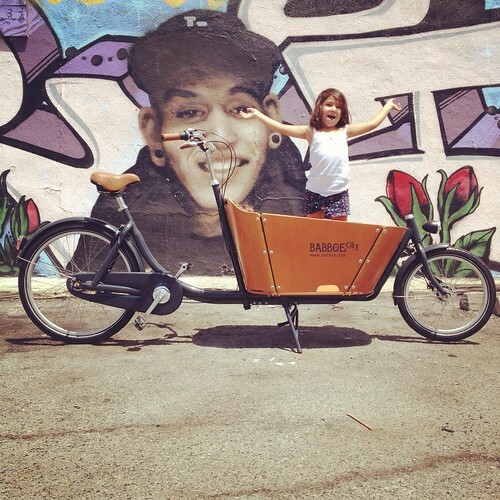 We are hauling a couple of our cargo bikes across town for the Santa Monica Family Bike Fest this Saturday, December 8, 2012 between 10 a.m. and 2 p.m. at the Santa Monica Civic Auditorium, 1855 Main Street, Santa Monica, CA. 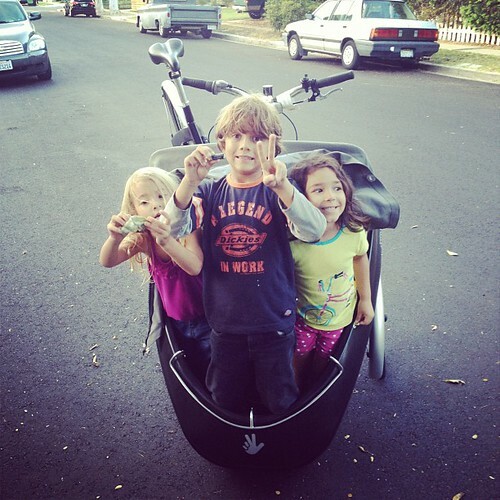 If you live on the westside this is a great opportunity to try out our cargo bikes! We are going to have a Christiania cargo tricycle from Copenhagen, Denmark. We will also have a Babboe City bakfiets from Holland. We wil also have a TrioBike Mono and Gazelle Cabby on hand as well. We’ll have our cell phone cameras charged up – so you can show off your cargo bike style. There is a lot more going on at the Bike Fest! Admission is free, and you can read about is planned in the Santa Monica Daily Mirror’s article, First Annual Santa Monica Family Bike Fest To Be Held Saturday. This free event is part of the Safe Routes to School Pilot Project, hosted by the City of Santa Monica in partnership with Active Santa Monica, the Santa Monica-Malibu PTA Council, the Santa Monica Bike Center, and CICLE.